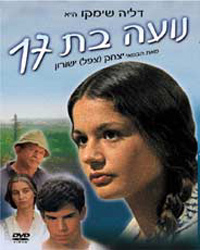 Individual struggle plays itself out against the backdrop of historical tumult in the Israeli drama Noa at 17. It is the early 1950s and Israel, still undergoing its birth pangs as a nation, sees its political and ideological groups battle for power. Noa is a 17 year old girl whose fate will be shaped by the outcome of these conflicts. Fiercely individualistic, Noa finds herself in disagreement with her collective-minded, Zionist friends, which is just part of a larger argument that threatens to tear families and neighborhoods apart. Noa at 17 draws a vivid picture of local history and settings despite its broad historical sweep.